From word-of-mouth, to social media, to business cards, emails, billboards, print ads, and commercials, there are no shortage of marketing mediums available to help spread the word about your business, and they all have merit when it comes to attracting new patients. But with the average American being exposed to approximately 5,000 ads daily, how do you ensure your messaging will cut through the clutter? Get creative! 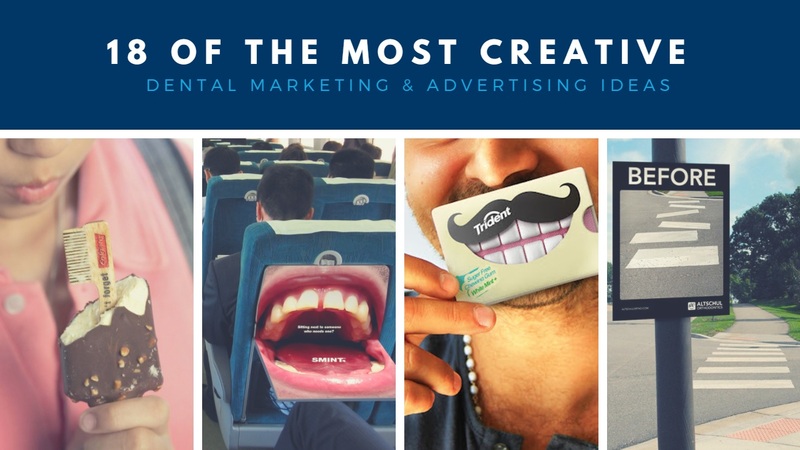 The following 18 examples of dental marketing and advertising are creative standouts, and we hope they give you and your team some ideas worth chewing on. 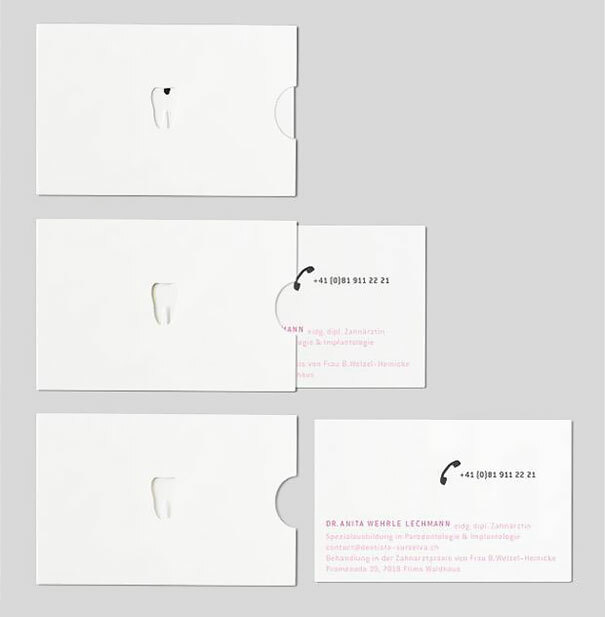 These two examples of tear-off business cards are probably the only instances it’s okay to encourage non-dental professionals to yank out teeth! Besides being memorable ways to drum up business, both ideas can easily be executed merely with paper and a printer. Many local establishments like restaurants and apartment buildings have public boards where businesses are allowed to post, so why not give this a try? Never underestimate the power of an optical illusion. 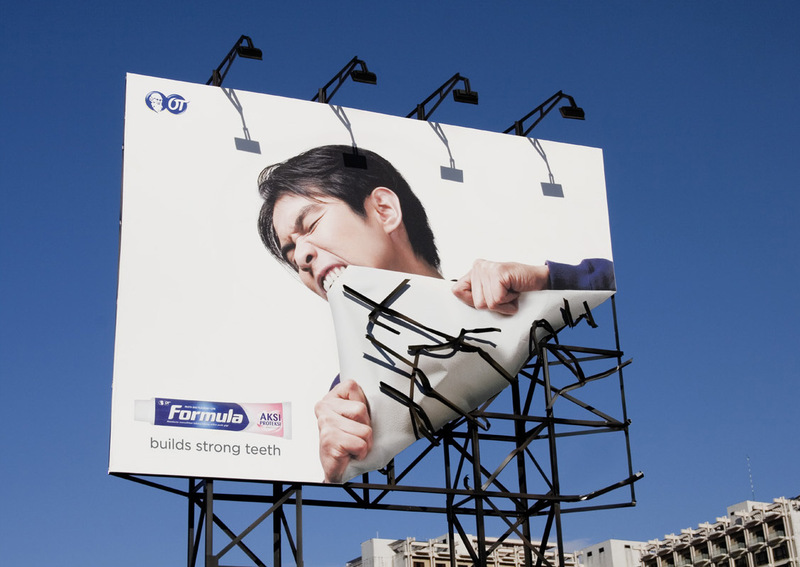 Nothing says strong teeth like the ability to gnaw on the corner of a billboard! While an ad on this scale may not fit your practice’s current budget, this concept could easily be translated to a postcard or flyer. Whether it’s opening a wrapped gift or digging through the sand for shells, everyone loves the feeling of uncovering a surprise. 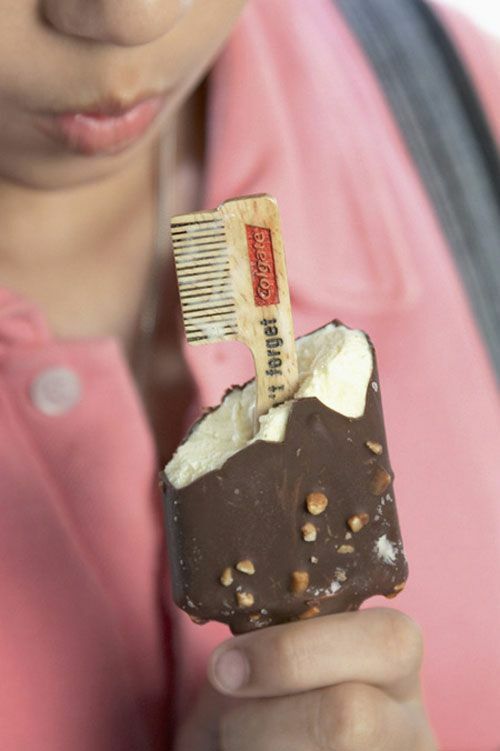 This toothbrush-shaped brushing reminder plays on that feeling, by being literally embedded into a sweet ice cream treat. Lots of companies sell custom engraved Popsicle sticks – print your info on them, and have your team distribute homemade Popsicles at an upcoming event in your town! This ad placement could really “light up” a branding brainstorm session. 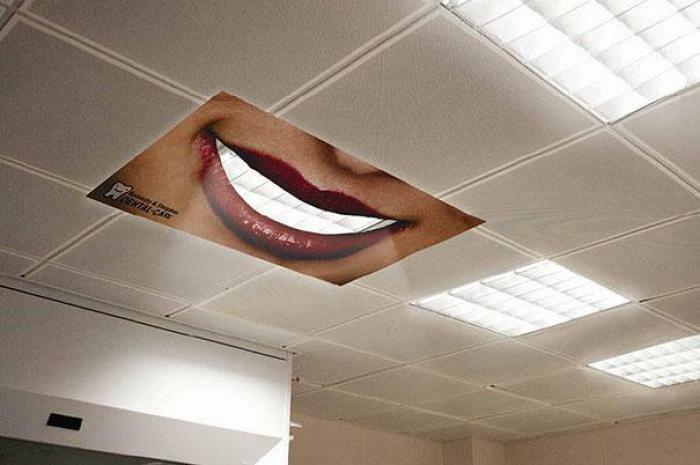 Why not install something just like this in your operatories, to advertise your practice’s whitening services? Not having holes in a bowling ball could be just as frustrating as having holes in your teeth! 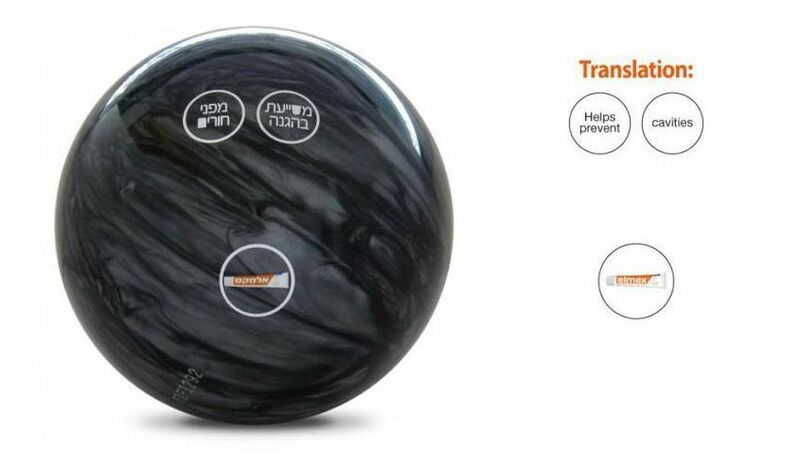 British toothpaste brand Elmex collaborated with local bowling alleys to distribute these custom bowling balls. 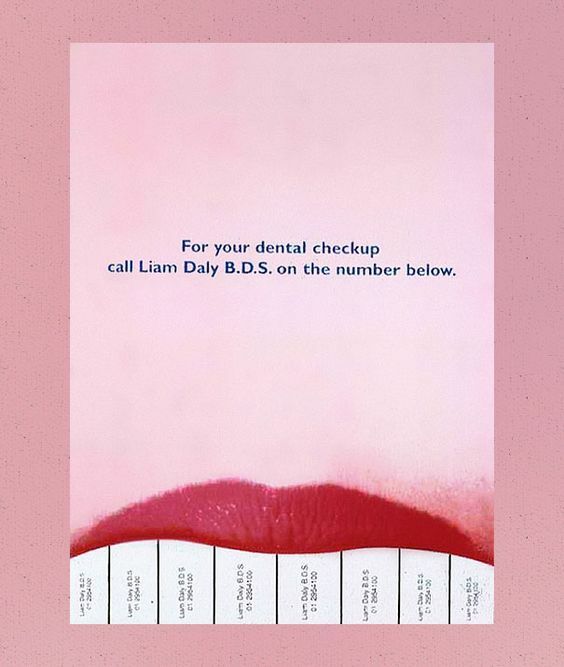 In place of holes, the balls have stickers that read “helps prevent cavities.” Custom stickers are already a great way to advertise to patients, but this idea definitely kicks things up a notch. 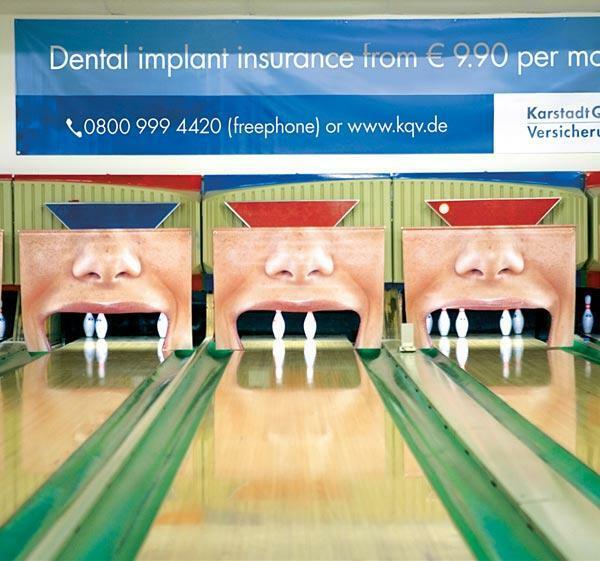 Who knew that bowling alleys could be such a hotbed for dental advertising? If bowling just isn’t your thing, create a similarly “knockout” activity by making a DIY carnival game and having your practice set up booth space at a nearby festival of fair. 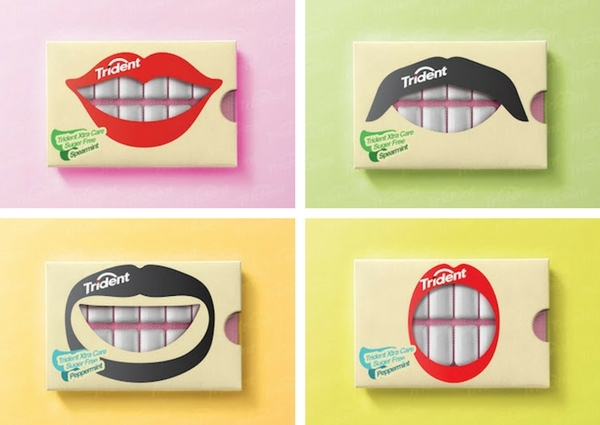 We’ve got to hand it to Trident for this awesome gum packaging idea. 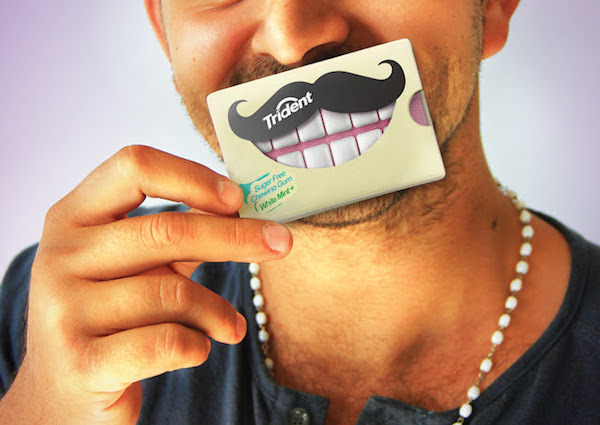 Create something similar by printing off custom labels for sugar free gum and sending the packs home with patients. 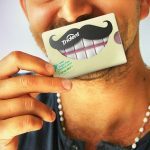 You could even print a custom #hashtag on the label, so that patients will tag you when they share their silly gum pictures on social media. 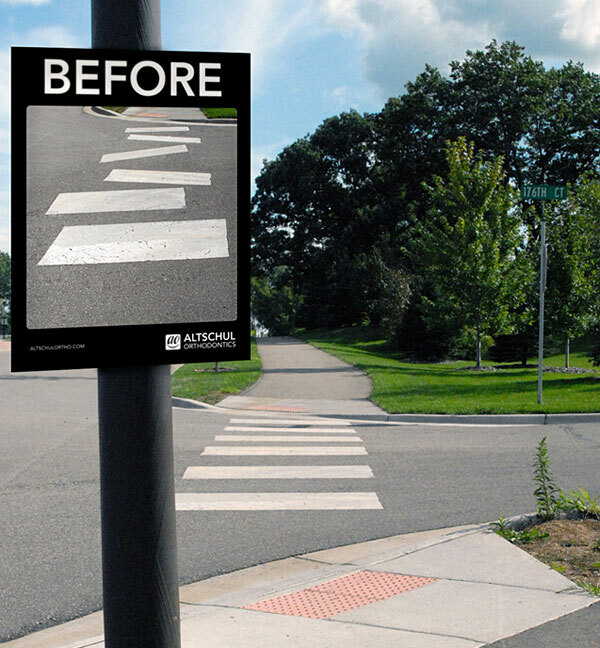 You probably need to obtain permission from the city before posting signs on public crosswalks, but we love this fun idea and can easily imagine how it could be adapted into a sign in your own practice’s parking lot, placed near the painted parking stall lines. 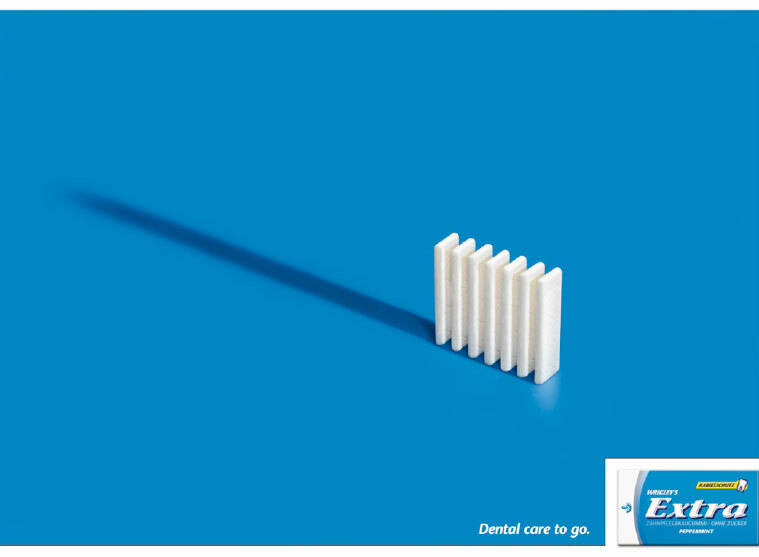 Use the signage to build interest in your practice’s ortho services! 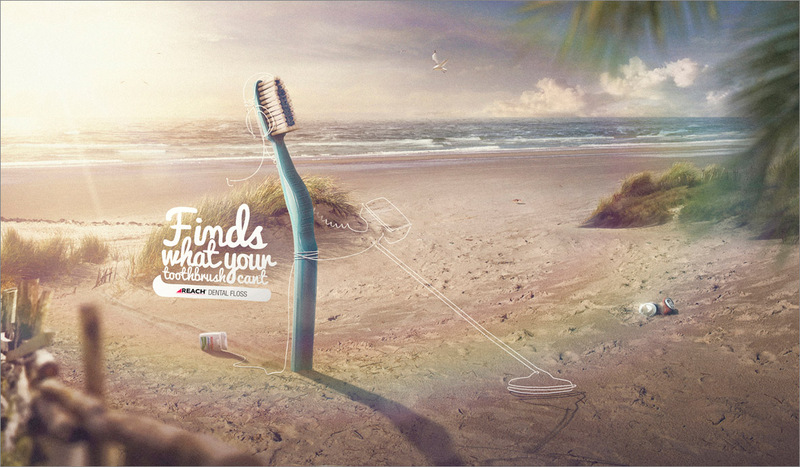 This print ad proves that your graphics don’t need to be overly complicated. Combining your brand’s color(s) with simple shapes is all it takes to create a clever and memorable ad in a local magazine or on your social media channels…or both! 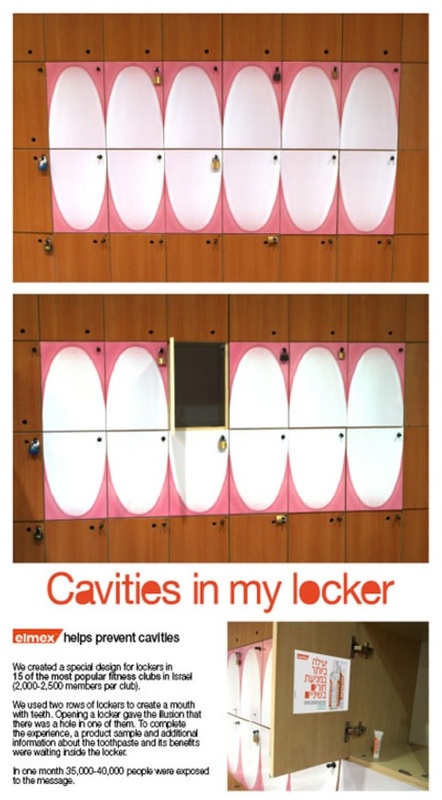 These lockers mouth off about the importance of oral hygiene without even saying a word! If you can find a local gym willing to collaborate, this is a smart viral marketing idea. Make sure to include business cards and special offers on your services inside each locker. Unfortunately there is no shortage of cracks in sidewalks and roads. 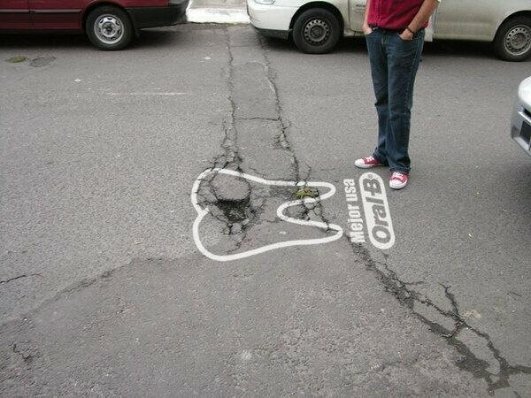 Fortunately, these cracks can be a great excuse to advertise your dental business AND let your inner artist come out to play. Pick up some sidewalk chalk or spray chalk, and get to work! Make sure to include your phone number. 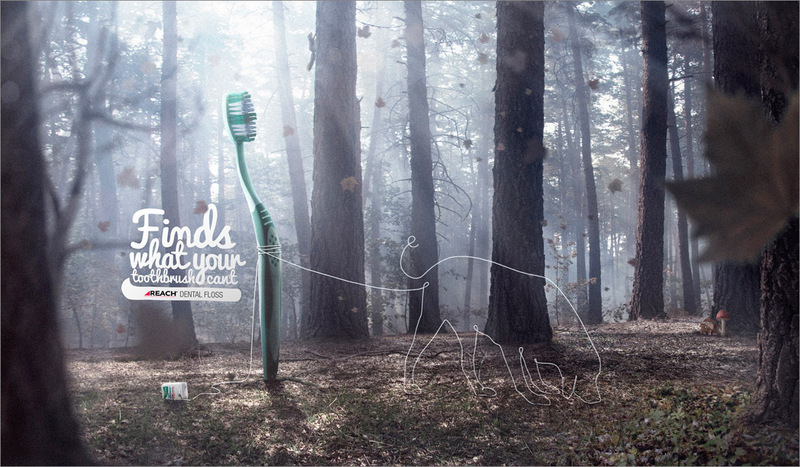 In these Reach dental floss advertisements, the idea that “floss finds what your toothbrush can’t,” is illustrated in amusing ways. Verbally reminding your patients to floss is a tried and true practice, but advertising the benefits of floss through hanging clever art like this around your office, is a unique technique worth a try. 16. 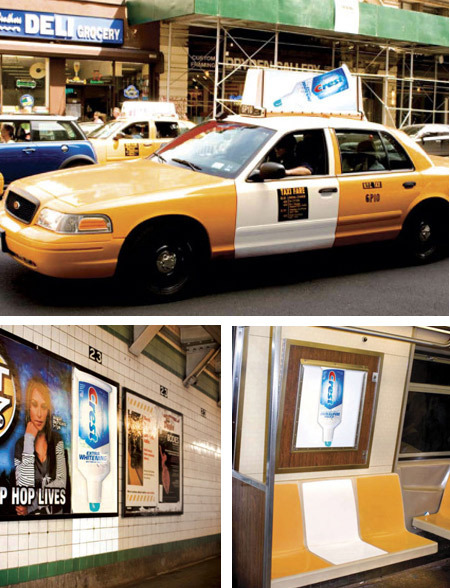 This Mouthwash Campaign, Which Set Out to Paint the Town! 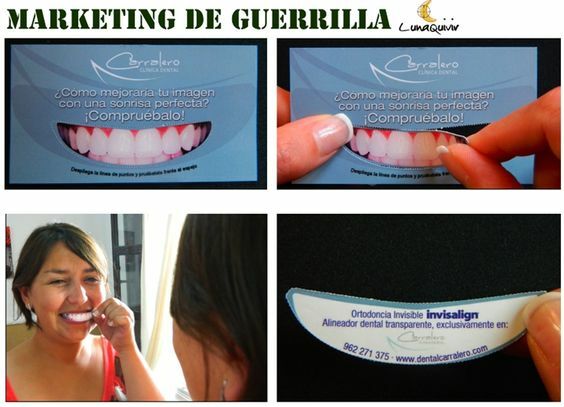 “Guerilla marketing” is defined as innovative, unconventional, and low-cost marketing techniques aimed at obtaining maximum exposure for a product. This guerilla marketing campaign for Crest whitening mouthwash took advantage of natural “white strips” found throughout a city. What “white strips” in your town could potentially play host to an ad for your dental office? 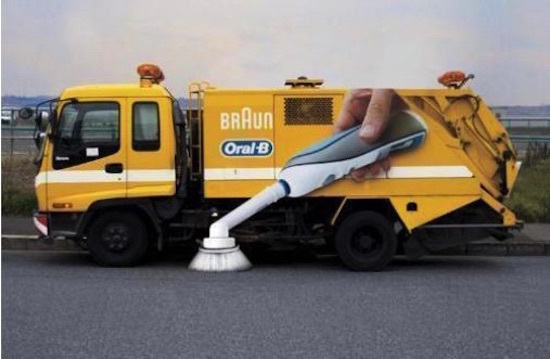 Power cleaning works for streets, and power cleaning works for teeth – we’re pickin’ up what you’re puttin’ down, Oral-B. Got a guy that knows a guy that has access to a street cleaning truck? Then you could recreate this crazy marketing idea. Don’t got a guy? This is still a great example of the “power” of seeing an advertisement in an unexpected place. Integrate a few of these tactics into your marketing mix, and your practice might just might become the toothy talk of the town. What ways has your business gotten creative with its marketing efforts? Please let us know in the comments below! These are great ideas! 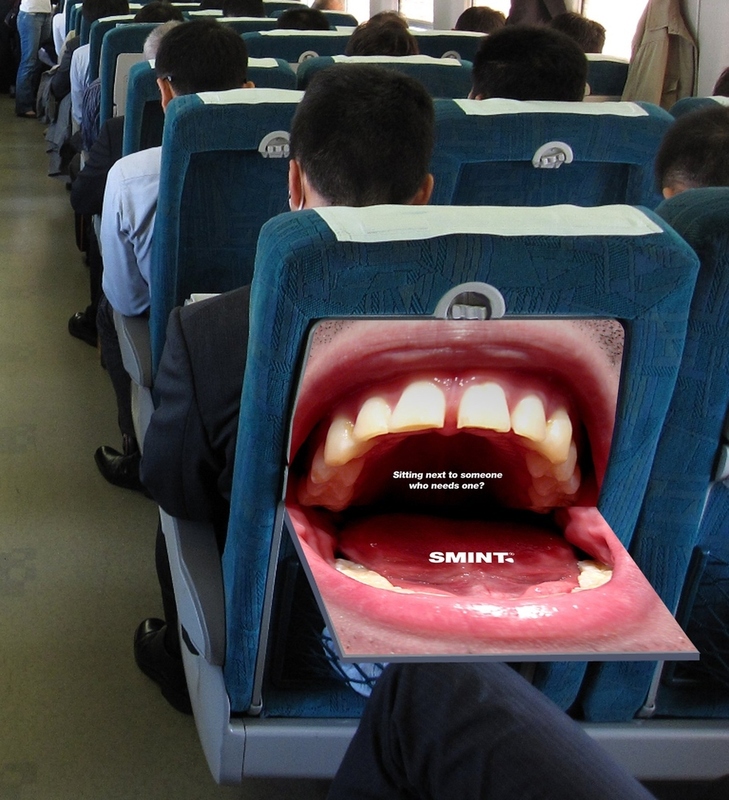 That first ad with the teeth is hilarious, we might just have to create a few of those!